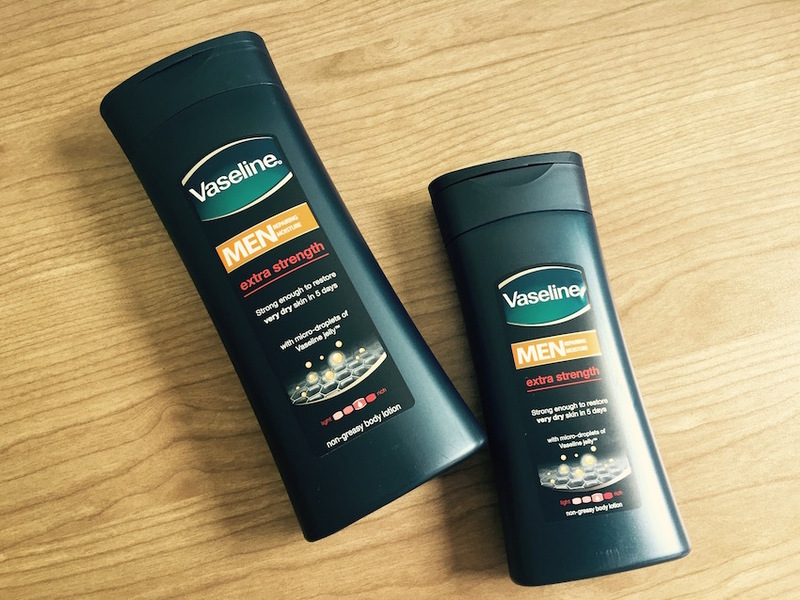 We test the Vaseline Men Extra Strength Body Lotion! It is the beginning of August and only one month until spring arrives. This winter has not been too bad, but the recent spate of cold fronts and extremely dry air has caused my skin to dry out faster that I thought it would. I have therefore been using tubs and tubs of body and hand lotions, along with a serious amount of day and night moisturisers. Thankfully Vaseline South Africa wanted me to test out their Vaseline Men Extra Strength Body Lotion and sent me a 200ml and 400 ml bottle. The label on the bottle says that it will restore very dry skin within 5 days, thanks to the minor-droplets of Vaseline jelly that generates deal into the skin quickly, and leaves no greasy residue. I started applying it from early this morning, and already I can feel that the skin on my hands is not as tight, and that they have a healthier glow. I am also pleasantly surprised that once I have rubbed the lotion into my hands there is no slippery, slimy, or wetness on my hands – it has been sucked into the skin, and hopefully is doing some good in there. My elbows and knees are next on my list. Unsurprisingly, its another cold day in Johannesburg. The Jozi winters are usually extremely dry, but this year we have experienced an unusually high amount of rainfall – this however did not offer any reprieve from dry skin. Even when sitting in an office with decent air conditioning, the moisture levels in the air, or perhaps the lack therefore, is what drains the skin of the much needed moisture. The less moisture the skin has, the more it is inclined to dry out and make visible lines and wrinkles on the face, and age lines on the body. 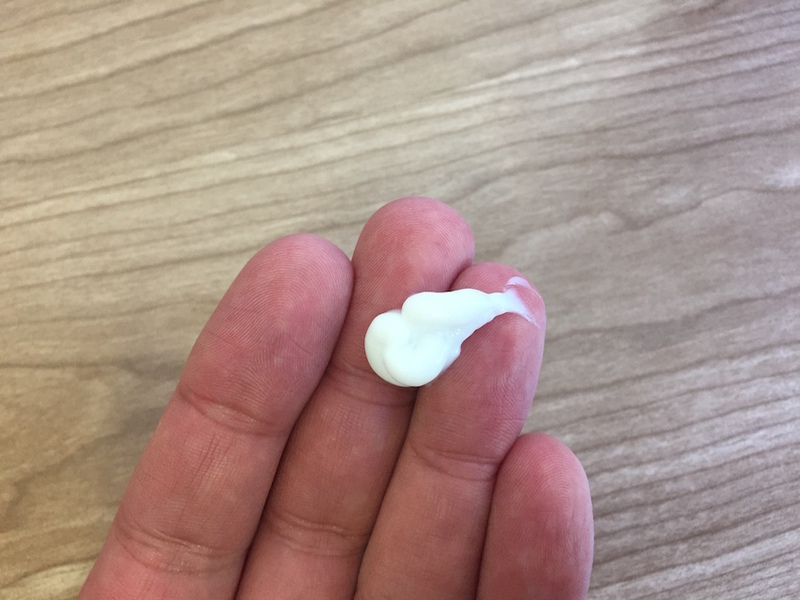 That is why we constantly need to apply a decent amount of moisturiser to almost every part of our bodies – especially in harsh weather conditions. Pay special attention to areas of the body that you wouldn’t usually think to apply a moisturiser too, for instance, the back of the neck, the shoulders, the elbows, the area around the hips, and the knees. All of these areas do a lot of work due to the constant use of the joints, and the skin covering these joints tends to be moved and stretched more than other areas. So, to combat the formation of aging lines, and to keep the skin from cracking and bleeding, apply a body cream like the Vaseline Men Extra Strength Body Lotion often. Its voting day in South Africa – Local Government Elections 2016! While many (and I hope most) South Africans are excited to exercise their democratic right and duty, what they are probably not looking forward to is waiting in the long queues on the cold. Today is a particularly cold and windy day in Johannesburg. Thankfully, the queues at the voting station I voted at moved quickly – less than 15 minutes to make it all the way through to the end. As much as I am proud to sport the ink mark on my thumb, as soon as I got home I took a scrubbing brush to my thumb nail to remove as much of the ink as possible. A fair amount of scrubbing and soap was necessary to decrease the ink spot by about 80 shade lighter, and the result was a severely red thumb, and excessively dry, over-washed hands. Thankfully, I had the Vaseline Men Extra Strength Body Lotion nearby, and I applied a generous amount to restore the lost moisture, but not only to the hands, but also to the nail. 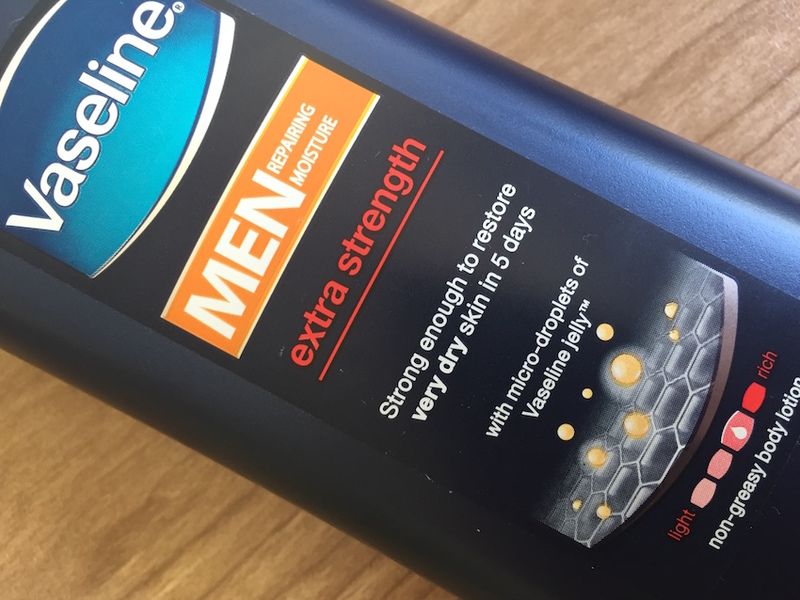 What I particularly like about the Vaseline Men Extra Strength Body Lotion is that it is fast acting, seeping into the skin very quickly, and it does not leave a lasting sticky or oily residue. Wow – it is freezing in Johannesburg today. I once said that the DA would win Johannesburg when hell froze over, and it seems like it has. After yesterday’s elections, the DA and ANC are neck and neck, and it is the coldest it has been in Johannesburg this winter. Regardless of your politics, the cold will get to everyone, and certainly watching the IEC officials and political party representatives on TV, all of them need some moisturising. Spending all those hours in either freezing temperatures, or seriously climate controlled rooms, their skin is definitely needing some TLC. Vaseline Men Extra Strength Body Lotion would certainly come in handy, especially with the hands of those officials that are counting the ballot papers. There’s no doubt that their fingers and knuckles have been working overtime, and have led to dry and cracked skin. A little bit of the Vaseline Men Extra Strength Body Lotion, and that is taken care of. 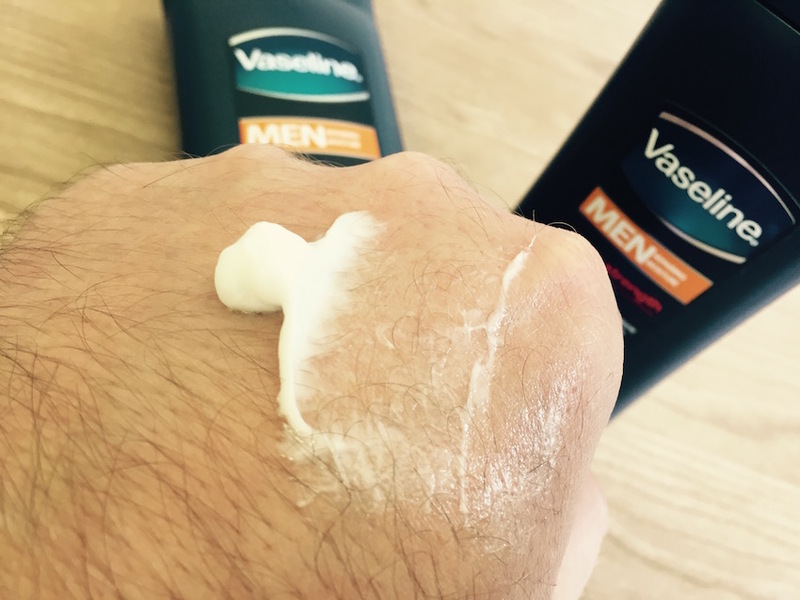 Like mine, not a dry skin flake in sight – it is now the fourth day that I have been using the Vaseline Men Extra Strength Body Lotion and my hands are looking good. It now day 5 of the Vaseline Men Extra Strength challenge. In the middle of Winter in Johannesburg, temperatures have plummeted, the air is extremely dry, and change is in the air, well, politically speaking. While we have little control over the outcome of the elections, at least we have control over the state of our skin, and with an addition of a quick body lotion moisture application to your daily morning and evening grooming routine, your skin will look and feel great. After 5 days I can report that my skin feels far better than it did on Monday – its noticeably less dry, it has a healthier complexion, and it is not as tight as it was. Overall, the trial of this product has been a good one, with very little trouble to include in my after shower routines, and it does not present any issues that other body lotions have in the past – it soaks in quickly so you don’t have to wait around for it to dry, it does not leave any residue so you don’t have to worry about marks on your shirts or bed sheets, and it doesn’t really have much of a scent/fragrance so it doesn’t fight with any body spray or fragrance you might apply. It does its job perfectly just the way you need it to.